How do annuities differ and are they right for me? 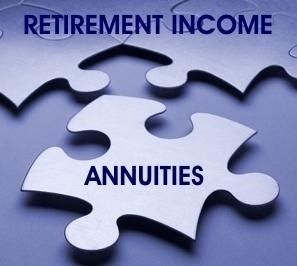 Income annuities turn a portion of someone’s assets into a guaranteed stream of regular income payments, which can begin immediately (using a Single Premium Immediate Annuity) or at a future date (using a Deferred Income Annuity). These payments are not affected by market movements, meaning the investment in both types of income annuities do not carry market risk. Fixed annuities protect a portion of someone’s assets from market losses, but provide guaranteed growth at a fixed interest rate over the term of the annuity. That growth is tax deferred, meaning that annuity owners don’t owe taxes on those interest payments until they begin making withdrawals. Index-linked annuities allow someone to use a portion of their assets to take advantage of market growth while receiving a level of downside protection. Investments in an index-linked annuity can be partially protected from market losses in exchange for a cap or other limits on growth. Growth opportunities are based, in part, on the performance of a selected market index, such as the S&P 500® Index. Index-linked annuities don’t invest directly in the market, but track their performance instead. For example, an index-linked annuity might achieve growth equal to a portion of the market’s return during a specific period of time, such as 80% over six years. This upper limit of growth potential is called the annuity’s cap rate. If the market performs well, the account value rises proportionally, up to the cap rate. If the market experiences a loss over the selected period of time, the investment in an index-linked annuity is partially cushioned, with the annuity’s value declining only to a limit offered by the insurer, such as the first 10% of the market’s loss. Variable annuities offer the highest growth potential for building long-term retirement savings, but they also carry more risk than other types of annuities because the underlying funds are directly exposed to the market. The money saved in a variable annuity is invested in subaccounts of the owner’s choosing that offer exposure to stocks, bonds, or money market accounts. As a result, the annuity’s value will increase or decrease in relation to market fluctuations. 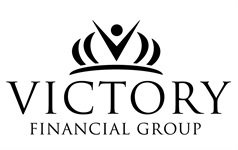 However, optional benefits can be purchased to offer additional protections, such as guaranteeing future income payments regardless of declines in the annuity’s account value or, in the event of the owner’s death, guaranteeing a minimum payment to the beneficiary equal to the value of the purchase payments minus any withdrawals. You may also want to read ANNUITIES AND RETIREMENT HAPPINESS to determine if annuities are right for you.